Many times we’re asked by employers, “How can I better engage the candidate?”, “How can I hook them so they’ll consider us?”. Unfortunately, there’s no shortcut answer. But companies who are getting the attention of our candidates seem to do well when they’re able tell a good story of the big “idea” that the candidate could be part of. My own experience is no different than what most people get. When an employer or recruiter approaches me, they usually cut and paste from their website and the job posting. The problem? It fails to open my eye to the potential of what this opportunity could be “for me”. So with not much to grasp, I’ll usually ignore or politely decline. If you’re guilty of this too, don’t waste your time! Take a moment to re-think your approach and read on. The art of persuasion is about the bigger vision that people like Steve Jobs and Martin Luther King have been able to convey. The good news is, there’s a pattern that you can steal and incorporate in your communication to make it compelling. Here’s a story structure shape that these great story tellers intuitively used. The pattern follows a method of communicating to your audience on where you are today (“What is”) and contrasting it to the future (“What could be”). 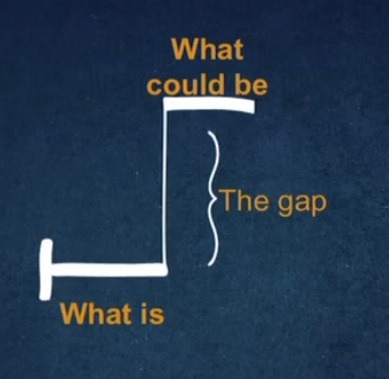 It’s important to make the gap as big as possible, so that you can lure the audience away to the future that awaits them. Isn’t that similar to the needs of talent sourcing? Most candidates you want are passive or don’t even know you, and you need to differentiate. This means you need to tell a good “story” with the grand vision, but make it clear so it ties in to what this could mean for the candidate. Try using the contrast approach and tell the story of your company’s existence from your heart. If your candidate can grasp, resonate, and get excited about your story, it’s going to be so much easier to move them to the next phase. What’s the back story to the art of persuasion? A few years ago, I had the privilege of attending a one day workshop at Duarte, a small boutique communication agency in the heart of Silicon Valley that’s led by Nancy Duarte. Tired of many boring presentations that fall flat, she de-constructed the structure of persuasive communication by studying Gustav Freytag’s (German dramatist) dramatic story structure, cinema scripts, and presentations given by Steve Jobs, Ghandi, and Martin Luther King. Her curiosity and research paid off, and she uncovered the underlying story structure that can move audiences. You can watch an intriguing video of Nancy’s session about how to lure audiences on this video at TedX East here. 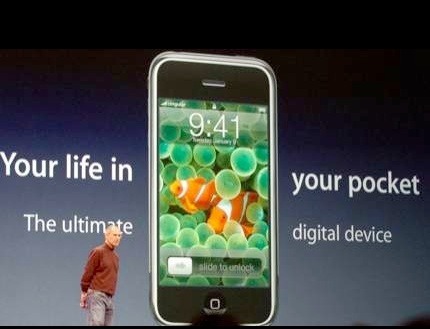 Rewind to 2007 when Steve Jobs took stage to debut the iPhone to the world, it wasn’t all about the sleek new design, awesome features, or the R&D. His goal was to sell the “idea” of how the iPhone can change your life, and Nancy found that he used the technique of “what it is” and “what it could be” to draw his audience in, and compel them to feel the same way. The 90 min. speech peaked when he unveiled the actual iPhone and created a STAR moment (=Something To Always Remember), and he finished his story with a quote that led the audience to the new bliss: the promise to carry on Apple’s vision of building revolutionary products. It’s time to re-visit your elevator pitch and ensure that your grand vision is incorporated into the communication that you have with your candidates. Whether it’s your company profile, or your first message to the candidate, take a step back and check to see if it sounds like a good story. Why does your business exist and what’s the big picture?